More than ever, Navigating the Waters of a Real Estate Transaction are getting more & more complex. We are in a “New Normal”! A Professionals Market. 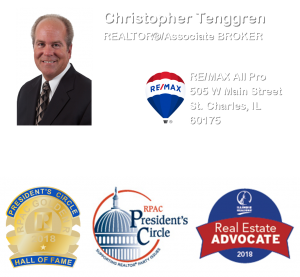 Christopher has been assisting Fox Valley Area Home Buyers & Sellers for far more than a Decade with the same RE/MAX Office. 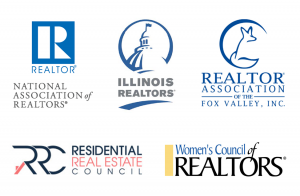 He is constantly adding new and timely resources to this page to help you increase your knowledge of the Real Estate Transaction Process, and the Trends that affect it. If you would like to Schedule a Pre-PurchaseConsultation with Christopher… Click Here or Call 630-408-2750! Want to Know what Your Home or Property is Worth… Click Here! To View Christopher’s Pre-Listing Appointment Presentation… Click Here! 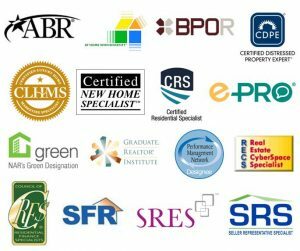 Check out these General Homes Seller Resources… Click Here! If you would like to Schedule a Pre-Listing Consultation with Christopher… Click Here or Call 630-408-2750! To Visit Christopher’s Blog for Timely & Trendy Maketplace Insights… Click Here!